I’ve been playing music since the age of ten when I first picked up the violin. After two years of Suzuki training, I switched to guitar and have played, practiced and taught steadily for over thirty-six years now. Being comfortable on a variety of guitars (and basses,) has helped to keep me busy with many projects. from Nashville studios to concert stages all over New England, one night stands to 3 year residencies, I’ve tried to do a little bit of everything. Some hightlights of my solo career have been playing on stages in support of Robert Cray and John Hiatt, w/Sonny Landreth, The Bad Plus, Johnny A. Harvey Reid, Denny Breau, Lincoln Meyers and others. An association with the Seacoast Guitar Society led to a slot on 2003’s instrumental album and a series of shows that went with it. Since then, I’ve played hundreds of solo guitar shows at everything from clubs and concert stages to churches, schools and farmer’s markets. Keeping the music live and local is of the essence and I work hard to bring to my community and craft a standard of musicianship and humility. 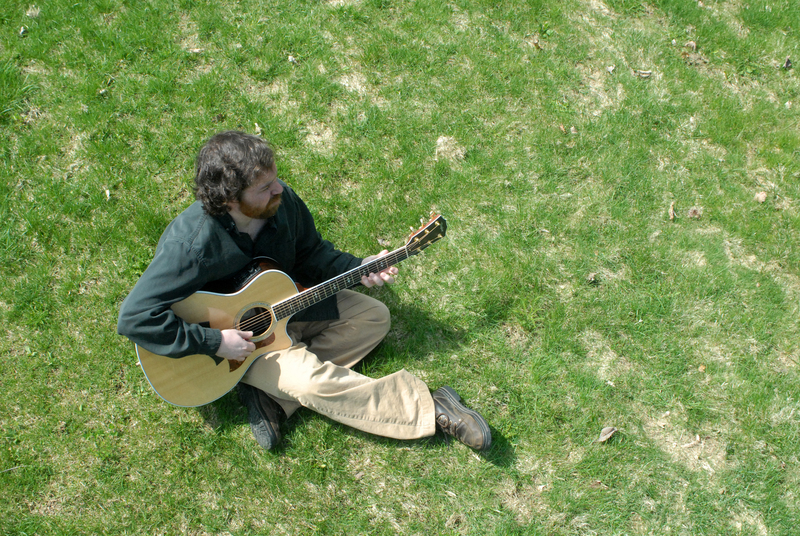 Currently, I teach guitar, bass, ukele and music theory to students at Noble High in North Berwick, ME. This program is made possible by Martin and Jen England’s Continuum Arts Collective. CAC is having their annual fundraising spectacular on June 2nd at Spring Hill in South Berwick, ME kicking off at noon. The Revel in the Meadow will feature national as well as local musicians, artists, beer vendors and more in a large field setting with professional concert PA and staging. TICKETS are available now!